You dont want to miss out on this spacious, move in ready 2 bedroom 1.5 bath home. Located in the popular Keene Grove neighborhood. Conveniently close to shopping, dining, entertainment and alluring Gulf coast beaches. 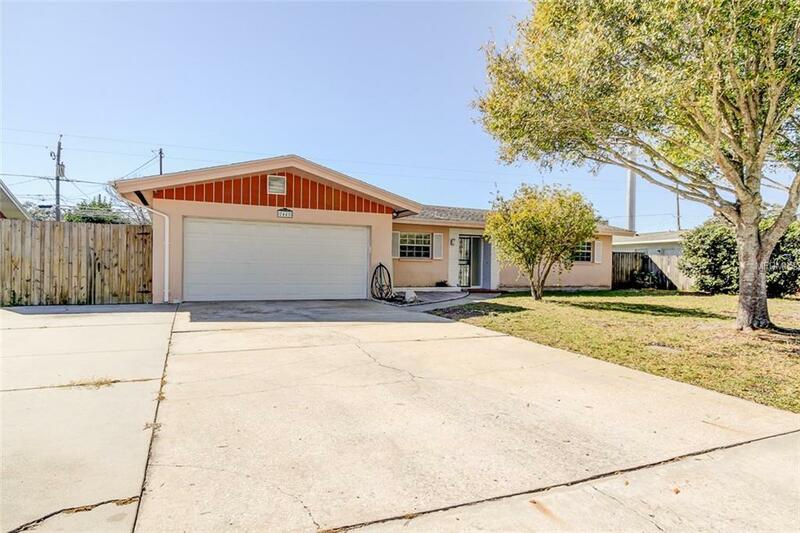 Beautiful, well maintained terrazzo flows throughout this solid block home. Need storage space? Well look no further. This home has ample storage and a large 2-car garage. Plus, there's an additional parking pad allowing for perfect boat or RV storage. With large bedrooms and a spacious family room this home is comfortable and ready for you to move right in. The fenced in back yard provides privacy and plenty of room to run and play. Theres enough room to even add that pool you have always dreamed of! Look no further, this conveniently located move in ready property is just waiting for you to call it home!